Once again I am playing catch up with my Topbox posts, but I don't mind. :) It's fun to look through what I got again, and remind myself of what I have yet to use! Today's box had a nail product which was a plus in my book, but it also had three other samples that I'm not especially pumped about. As such I gotta say this isn't one of my favourite boxes this year, though it's still decent and definitely worth the price. If you don't know what this is, Topbox is a Canadian subscription box that contains four deluxe-sized (and sometimes full-sized!) beauty samples every month for $12 CAD (plus tax, free shipping). 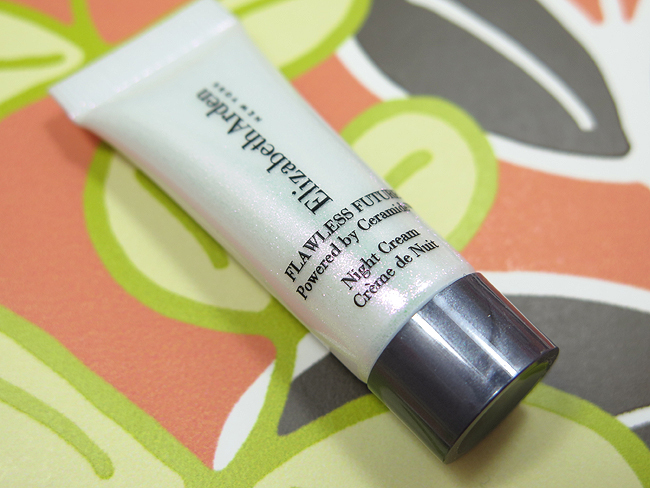 Flawless Future Night Cream supports skin's nighttime renewal process to help brighten and even skin tone, and ease the appearance of fine lines. It features a stress-busting, mineral-rich botanical and an exclusive fragrance technology that's clinically proven to induce a feeling of well-being and relaxation for a better night's sleep. 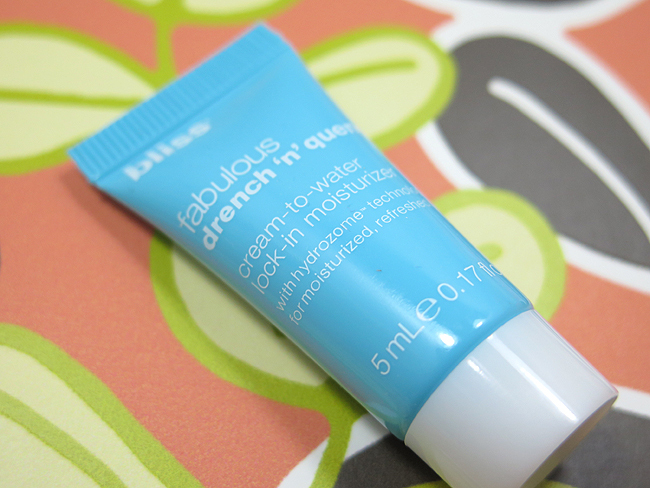 Skin is immediately hydrated and stays moisturized all day, with no greasy after-feel. This incredibly effective nail strengthener will not yellow or dehydrate your nails. 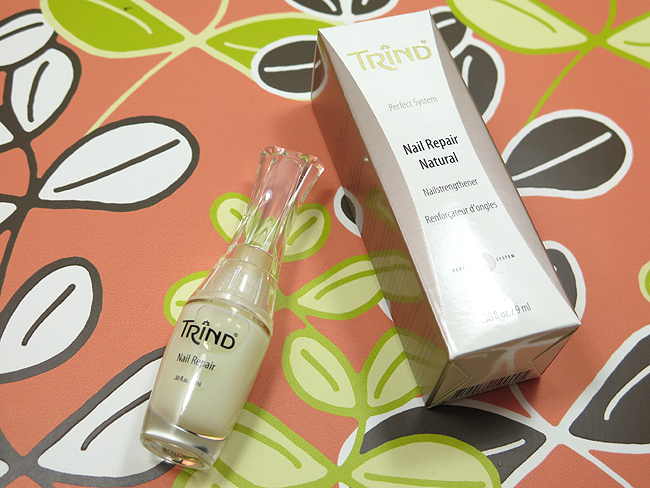 Its unique formula reinforces the connection between the protein molecules to make the nail strong and flexible. 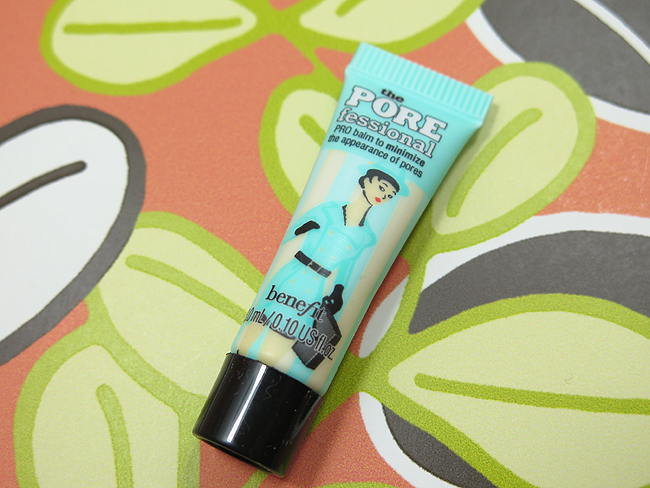 I have so many sample size tubes of this Benefit Cosmetic's primer that I'm pretty sure it's impossible for me to ever run out, which means I'm not especially excited to see it in my box this month haha. The other products all look decent though, and I'm sure I'll use them up. :) It's not my favourite selection of products, but I'll survive. Some nice items for you to try out. I've never heard of the box before but it looks like I need to look into it. 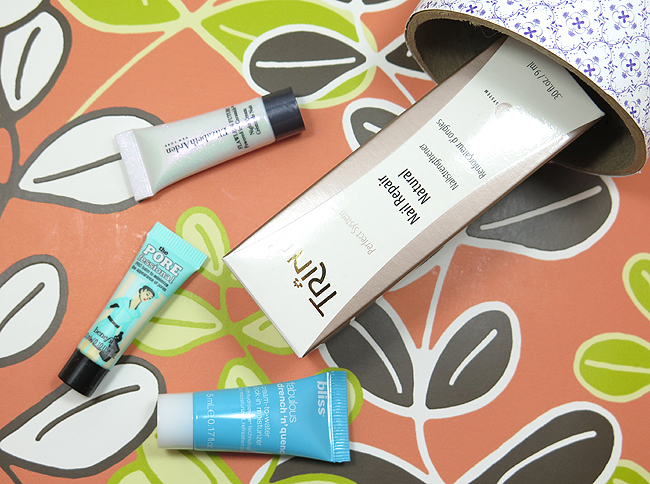 Seems there are more and more beauty boxes theses days. Like we have RubyBox here in South Africa and luckily i know we as bloggers that are selected receive it for free. We know before the time what product are going to be send so i can select if i want to jump in for that or give it a skip.